I’ll admit, I don’t often make shaped cookies. I usually tend to lean toward drop cookies, mostly because I don’t have to worry about rolling them out. But, once in a while, I get a craving for shaped cookies. And I figure that, if I’m going to go to the effort to make that type of cookie, I might as well have some fun with the shapes. And that’s where my Cookie Cut-Arounds come in. You may be wondering why I don’t just use cookie cutters. To be honest, I sometimes do. It’s just when I get an idea of a cookie design in mind, I tend to get pretty specific with it. And I can’t always find a cookie cutter that matches that specific idea. Making my own Cookie Cut-Arounds means I can have whatever shape I want. 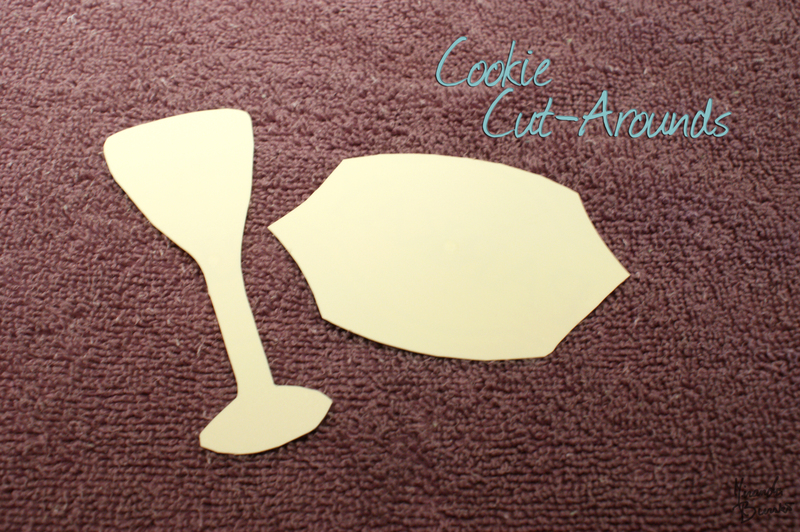 Cookie Cut-Arounds are fairly easy to make. 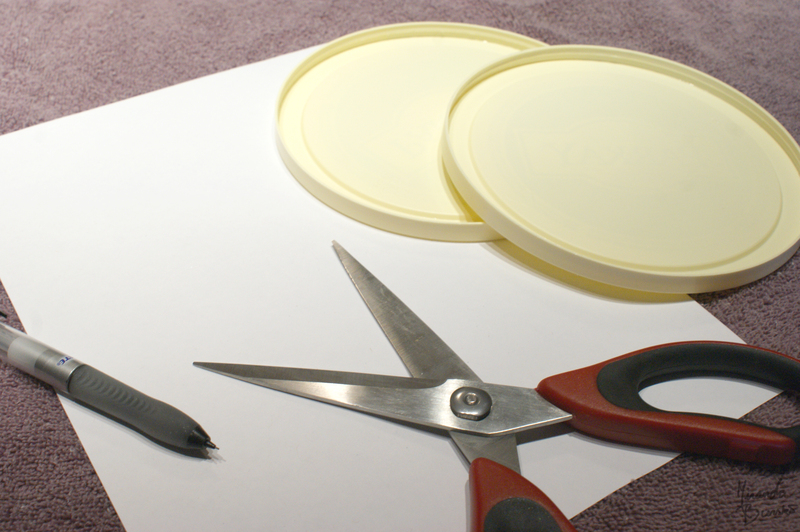 All you need is a piece of thin but solid plastic (I like to use the lids from margarine containers), some paper, a pencil, scissors and some tape. 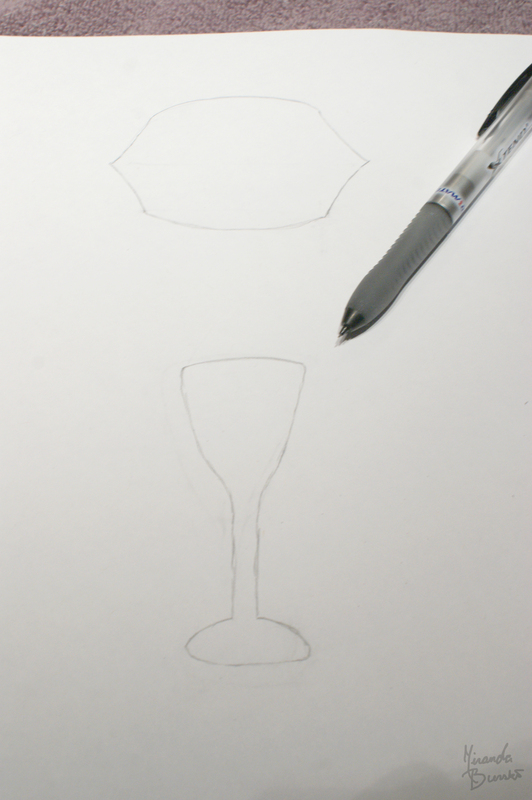 You start out by sketching the shape you want on a piece of paper. The sketch doesn’t need to be exactly perfect, but it should be pretty close to what you want. Once you have the shape you want, all you have to do is cut it out. Then, tape it to your piece of plastic – you’ll likely need to tape it in a few different spots so that the sketch doesn’t move around as you’re cutting. Finally, just cut the plastic along the lines of the sketch. When you’re finished cutting along the sketch, make any adjusts to your plastic that you feel are needed. This could be straightening out a line, rounding off a corner – whatever’s missing, really. Then just wash the Cut-Around, and you’re done. When you’ve rolled out your cookie dough, just press the plastic gently into the dough and cut around the shape with a lightly floured, sharp knife. 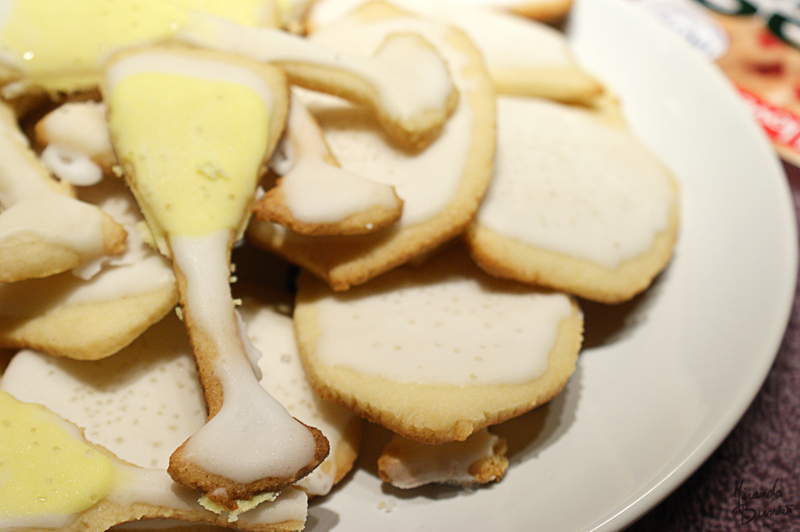 It’s still a pretty easy process, but, admittedly, not quite as quick as regular cookie cutters. That’s about it, really. These wash up really easily, so you can keep them stored for the next time you’re in the mood for a cookie of the same shape. Or maybe I’m the only one who has moods for cookie shapes. Oh, well.